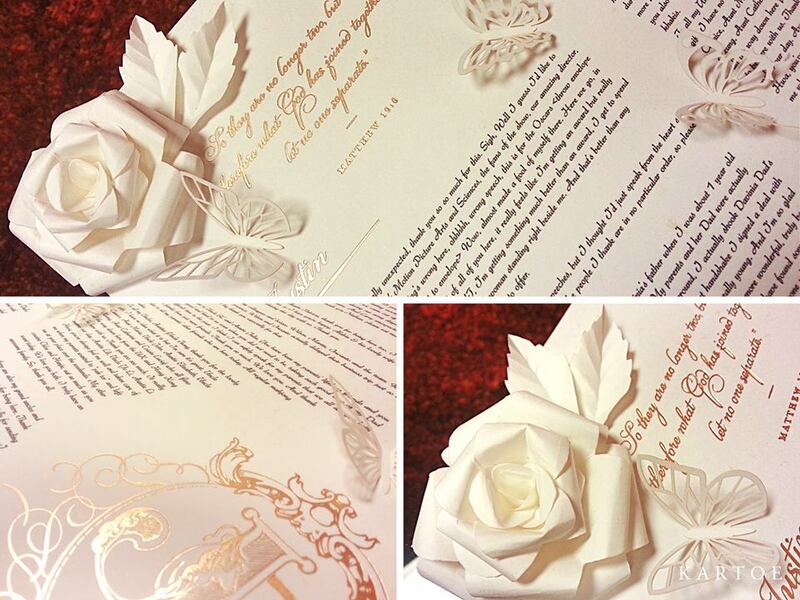 Indulge in the luxury style of designer invitations & stationary by Sugar Papers. Started by Hong Kong company Flare, their quality works are outstanding. You can check them out at Pasarbella @ Poppy Flora Studio (200 Turf Club Road). They offer free consultations too! Make an appointment with them via their contact page here. 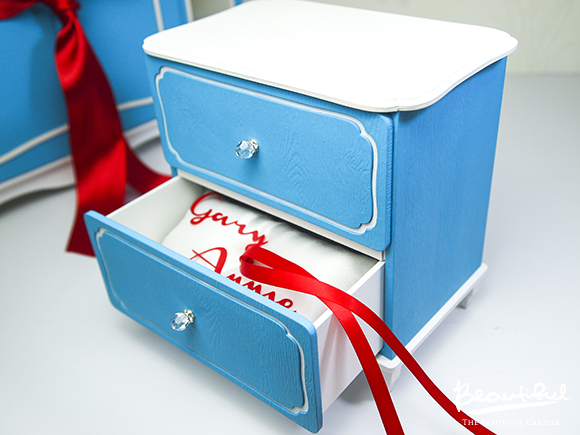 Kartoe was founded in 2010 by Indonesian-born award-winning designer Tandy, hence its name which literally means “Cards” in Bahasa Indonesia. 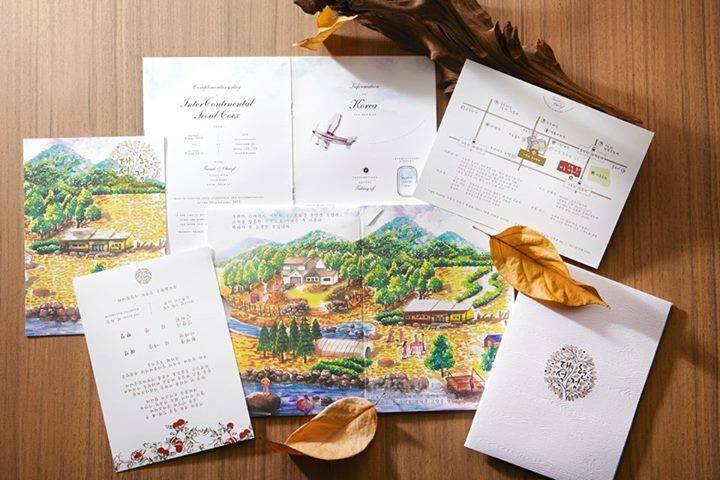 Since its first launch, Kartoe has been continuously striving to set the benchmark for luxury wedding invitations in Singapore and across Asia. 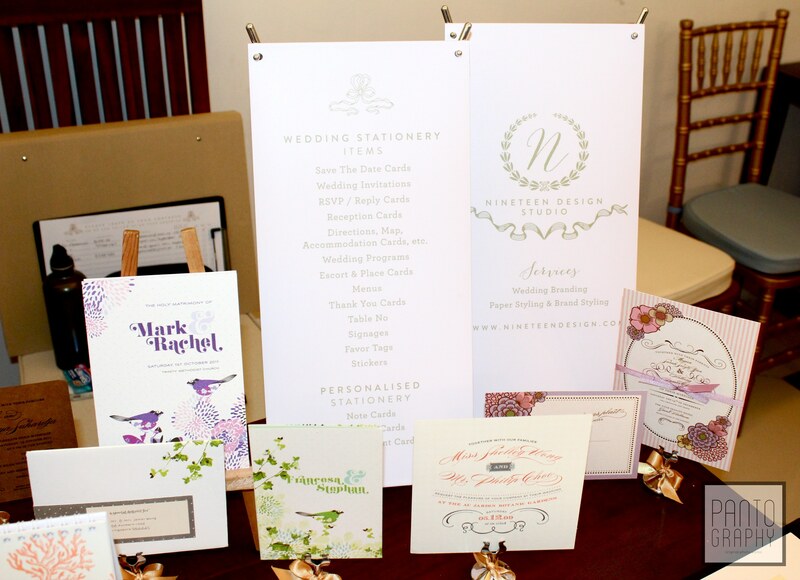 Kartoe is proud to provide you with fine stationery. 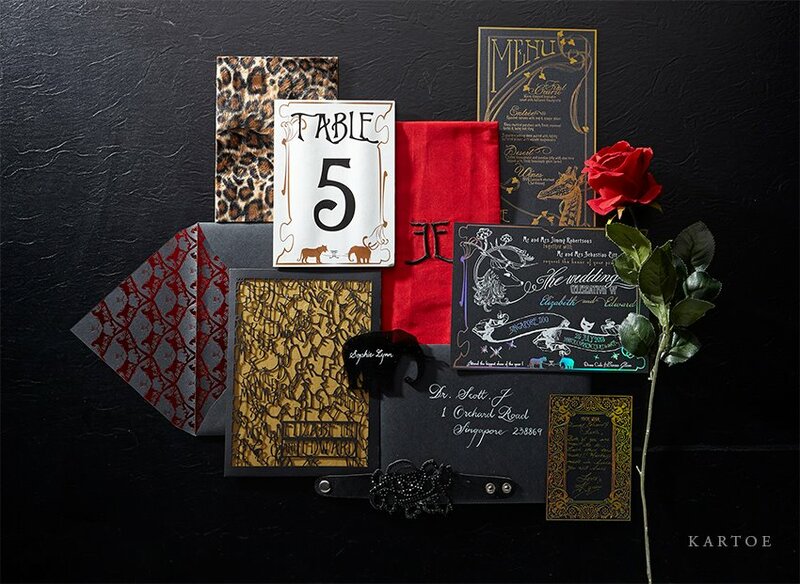 Their designs have been used by numerous discerning clients to announce their memorable events in their history, namely Singapore Tatler Weddings 2011 and Men’s Fashion Week at Marina Bay Sands 2011, to name a few. Kartoe’s designs are printed on a range of our hand-picked designer papers using the highest standard printing techniques, marrying it with the highest quality of craftsmanship to ensure that you will only receive a work of art. 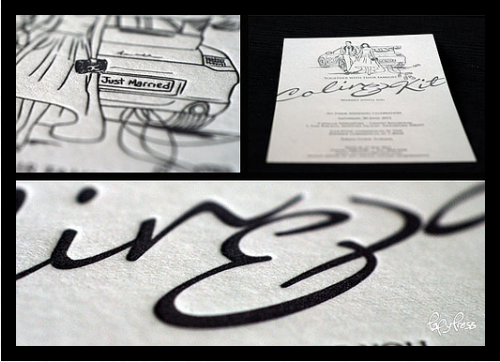 Papypress specializes in letterpress printing. This unique type of print appeals to all your different senses. Unlike the typical prints commonly available today, letterpressed print speaks to a bygone era when printing required great skills and the printer regarded as an artist. The result is an art piece that aroused romantic and oftentimes sensual feelings in the beholder. 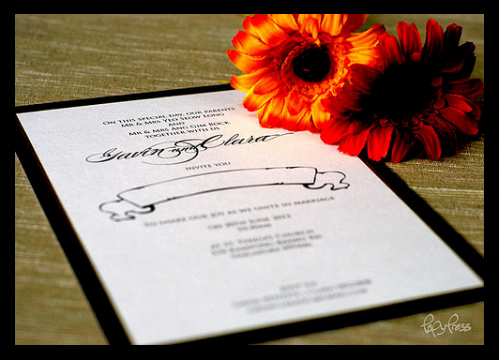 PapyPress designs are built upon the foundation of classic craftsmanship and quality and each piece of stationery is laboriously handmade. View their portfolio here. You can also make an appointment with them to visit their studio showroom @ Sims Drive, where you can view all their beautiful works in live form. PS: Their store also carries Moleskin notebooks, wooden signages and customized envelopes! At WforWedding, they help any couples getting married to have the ideal wedding that they want. 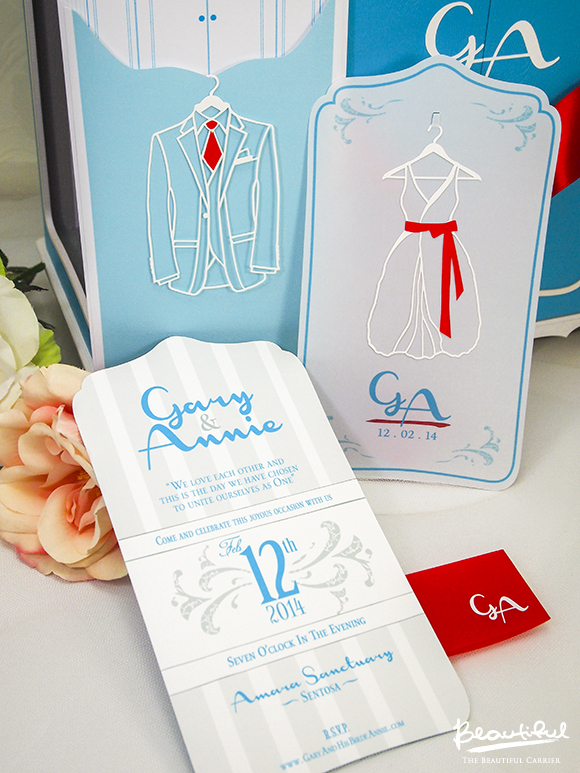 They offer services that range from wedding invitations to wedding favors. W believes in providing the best services for our customers, we believe that we are able to achieve the ideal wedding for our customers. They place your needs at their top priority, as they want to bring smiles to faces. Check out their bestsellers here. Their showroom is at North Bridge Road, you can make an appointment with them to check out their beautiful works. 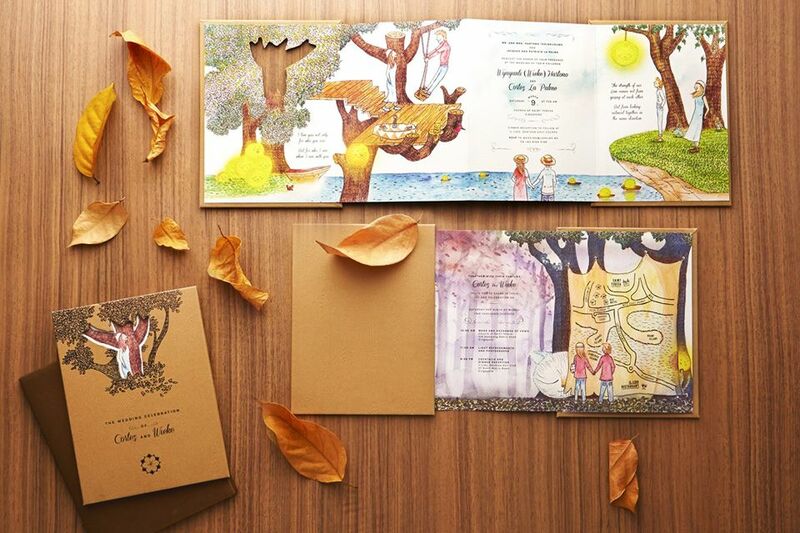 Nineteen Design Studio is a stationery design studio that specializes in beautifully designed paper products. They share a love for paper, typography, and great design. 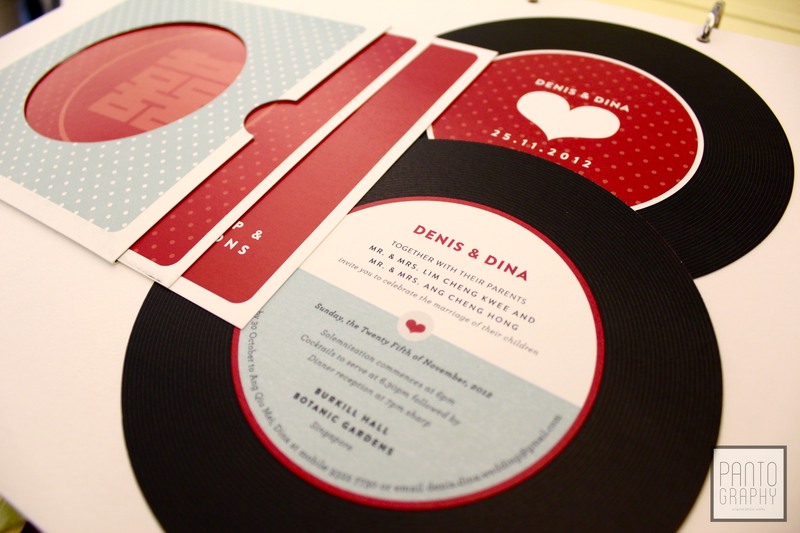 Their speciality lies in bespoke wedding invitations and personal stationery. The Beautiful Carrier consists of a team of gift people who are hugely passionate about designing and developing beautiful gifts and stationary. They carry a special array of collections that are inspired and made by love which are bound to bring delights to your heart! Photo source: Credit given to individual companies for photos. 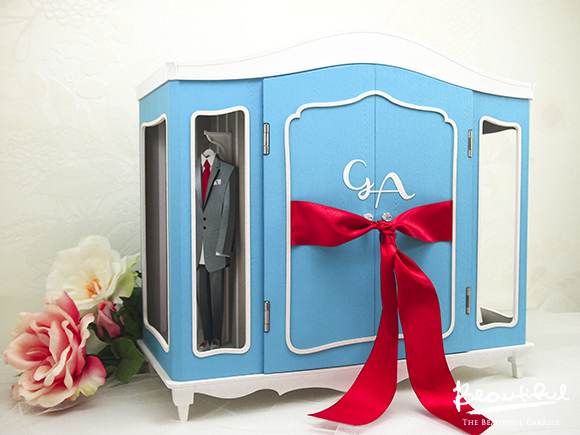 If you are a reader, feel free to write in a review to review@theweddingvowsg.com. If you would like to be part of this listing, kindly contact advertise@theweddingvowsg.com. For any other queries, feel free to email in at contact@theweddingvowsg.com.